KiDNuZ | Listen Free on Castbox. 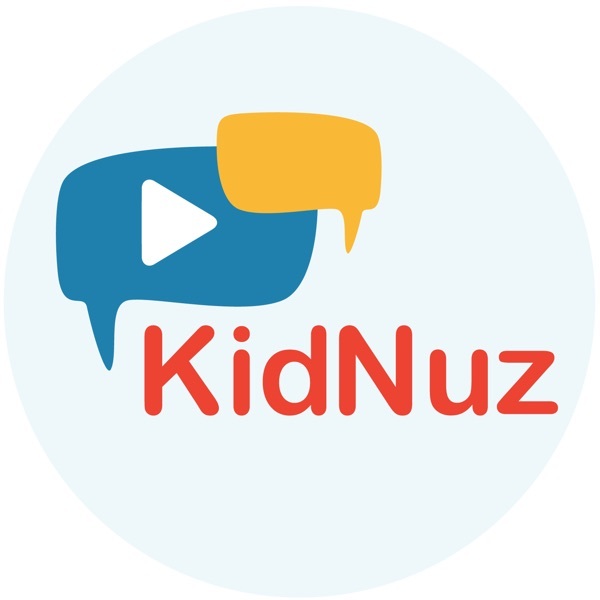 KiDNuZ: Kids deserve a daily newscast all their own. Kick start their morning with 5 minutes of timely, unbiased, and age-appropriate stories from politics, entertainment, science, health, and sports. Professionally written, professionally delivered by 4 Emmy winning journalists who also happen to be moms. Listen in five days a week, starting at 7 am. Spoiler Alert, Chuck the Chips, Eye of the Beholder, Rescuer Rescued, Bee-lieve in Miracles and Swift Shade!The post 04.19.2019 appeared first on KiDNuZ. Extended Space-cation, Report Released, Time’s Top 100, Wild Weather, Airborne Oops and Not Pitch Perfect!The post 04.18.2019 appeared first on KiDNuZ. Lights for Paris, Doggone Long Swim, GOP Challenger, Russell’s Record and a Crooked Toll!The post 04.17.2019 appeared first on KiDNuZ. Historic Fire, Aunt Becky, Release Date, Big Election, Bella’s Boxes and Steph’s Popcorn! The post 04.16.2019 appeared first on KiDNuZ. Tiger is Back, BTS on SNL, Tax Day, Mayor Pete Declares and Chris Gets a Hit!The post 4.15.2019 appeared first on KiDNuZ. Nosy Alexa, Big Arrest, Plane Ooops, Chin Goal, Rogue Roomba and Doggone Smart!The post 04.12.2019 appeared first on KiDNuZ. Long Lockout, Brexit Breather, No More Magic, Snow Cyclone 2.0, Pollen-Pocalypse, Young Chart Topper and Black Hole Memes!The post 04.11.2019 appeared first on KiDNuZ. Measles Fine, Outer Space Image, Weather Whiplash, Epic Homers, Space Planes and a Smart Change of Heart! The post 04.10.2019 appeared first on KiDNuZ. Bad Baseball Idea, Cavaliers Clinch, Cheating Apology, Super-sized Snake, Space Bugs and Flush This!The post 04.09.2019 appeared first on KiDNuZ. Pretend Pox, Virginia vs Texas Tech, 41’s Stamp, Rocker Rebounds, Astrobees and a Sugar Rush Bust!The post 04.08.2019 appeared first on KiDNuZ.